This afternoon, NVIDIA announced their earnings for the fourth quarter of their 2019 fiscal year, which ended January 27. As expected, revenues were sharply hit by the crash of the cryptocurrency markets, and the Santa Clara company faced a year-over-year revenue drop of $706 million, or 24%, with fourth-quarter revenues of $2.2 billion. Gross margin fell to 54.7%, down 7.2% from Q4 2018. Operating income was down a dramatic 73% to $294 million, although net income was only down 49%, coming in at $567 million. This resulted in diluted earnings-per-share of $0.92, down 48% from a year ago. For the full fiscal year though, earnings were still very solid, with revenue up 21% to $11.7 billion, and an overall gross margin of 61.2%, up 1.3% from 2018. Operating income was $3.8 billion, up 19%, and net income was $4.1 billion, up 36%. Earnings-per-share for all of 2019 came in at $6.63, 38% higher than 2018. NVIDIA’s growth thanks to Cryptocurrency was mostly found in their gaming GPU lineup sales, so unsurprisingly the GPU business saw the biggest revenue drop of any segment. Year-over-year, NVIDIA’s GPU business fell 20%, and compared to the previous quarter, it’s down 29%. Still, the GPU side of the house still brought in $1.98 billion in revenue. Tegra is the other business unit, and it had revenues of only $225 million, down 50% from a year ago. Tegra includes automotive, SoCs for consoles, and embedded devices, and NVIDIA states that most of this decline is due to declines in gaming platforms. Breaking the units down into markets, Gaming continues to be the biggest segment of NVIDIA, although not by the wide margin we are accustomed to. Gaming brought in $954 million in revenue, down 45% from a year ago where Gaming was $1.7 billion in revenue. Professional Visualization was up 15% from Q4 2018, with revenues of $293 million, and Automotive was up 23% to $163 million. OEM and IP was down 36% though, thanks to the drop in SoC sales for consoles. Datacenter continues to be a growth market for NVIDIA, with revenue up 12% to $679 million, encroaching on Gaming as the highest revenue segment for the company. Clearly they’ve done well to diversify and create product segments for the datacenter, and it pays extra dividends when your core business has a weak quarter like this one. For Q1 2020, NVIDIA is expecting revenues to be $2.2 billion, plus or minus 2%, with gross margins between 58.3% and 59.3%. It will likely take a couple more quarters to get a feel for how everything has shaken out with the decline in Crypto GPU purchases clearly hitting the company hard. 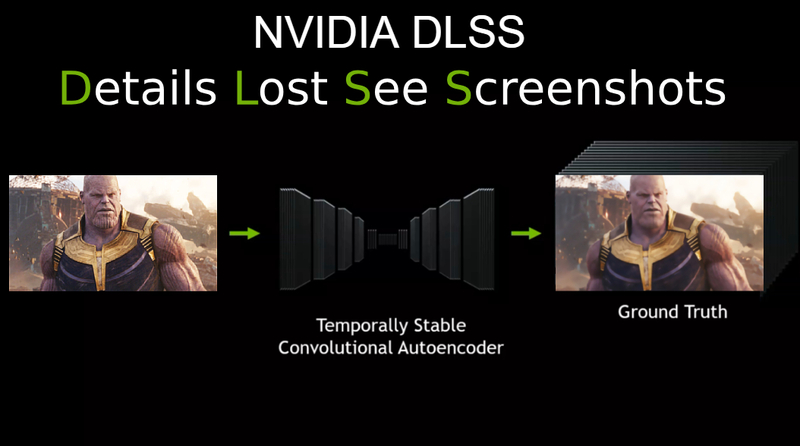 NVIDIA has made some pretty major gains that have certainly taken a beating, but they do have some new products on the market currently which might help alleviate the situation. These are TERRIBLE numbers. I think what it means is that we've entered another recession. If it was just gaming, but also data center and other segments significantly dropped. Maybe not Y/Y but definitely from last quarter. Unlike with the first mining boom with bitcoin both companies GPUs were suitable for mining this time around and both ended up selling far above MSRP with scarce availability. This crypto mining run also had much more staying power due to various other factors (previous mining crash wasn't just due ot price crash but ASICs as well, this mining is more challenging for ASICs) and therefore stickiness. 2015Q4 $646m to 2016Q4 - $810m to 2017Q4 $1348m to 2018Q4 $1739 to 2019Q4 954m. Well after market Stock prices is up 5%. So this isn't so bad. "I don't understand the crypto pain, I thought AMD cards were best for crypto?" This is the urban myth that AMD fanboys have created in the past months to justify why AMD could not sell as many GPU as nvidia in the gaming market just thinking (or hoping) that they were all sucked up by the miners.